Promote person centred practice by creating a musical life story for a person living with dementia from childhood through to present day, a profile that can begin at any time for anyone. Encouraging carers, families, staff, activity organisers and allied health professionals to partnership work and share good practice when engaging people in meaningful musical activity. I am about to pilot the idea and work in partnership with a music therapy student from Queen Margaret University in the autumn to see if the theory and aspirations of Music and Me can work in practice. Sharing my learning and my role as a music therapy intern is a large part of my day to day work. In September 2015, Dr Philippa Derrington @PLDerrington, Queen Margaret University and I will be presenting at the ‘Music Therapy and Dementia Conference’, Anglia Ruskin University, Cambridge. The title of our paper is ‘Approaching dementia care together’, this will bring focus on the strategic alliance Alzheimer Scotland have formed with Queen Margaret University, and the progress of music therapy within Alzheimer Scotland. I am looking forward to sharing all the work I have been developing. Across Scotland AHP’s have been engaging the public in “tea and blether” sessions. The blethers took place throughout dementia awareness week, to help promote the public and professionals to talk about dementia. I was involved in “blethering” for the week and had many enquiries about the use of music therapy within dementia care. The blether sessions were a great opportunity to spread the word about what music therapist have to offer people living with dementia. On reflection, the blether sessions also provided the AHP’s with the opportunity to listen to the needs of the general public. Over the last eight weeks I have been running an open music therapy group within Alzheimer Scotland day care services in Dumfries. Music therapy had a role in bringing a group of people together with varying interests, experience and abilities. The group engaged in creating meaningful music, meaningful conversation and reminiscence therapy. Everyone within the group was able to share the experience with each other and had the opportunity to engage in the music in any way they wished. 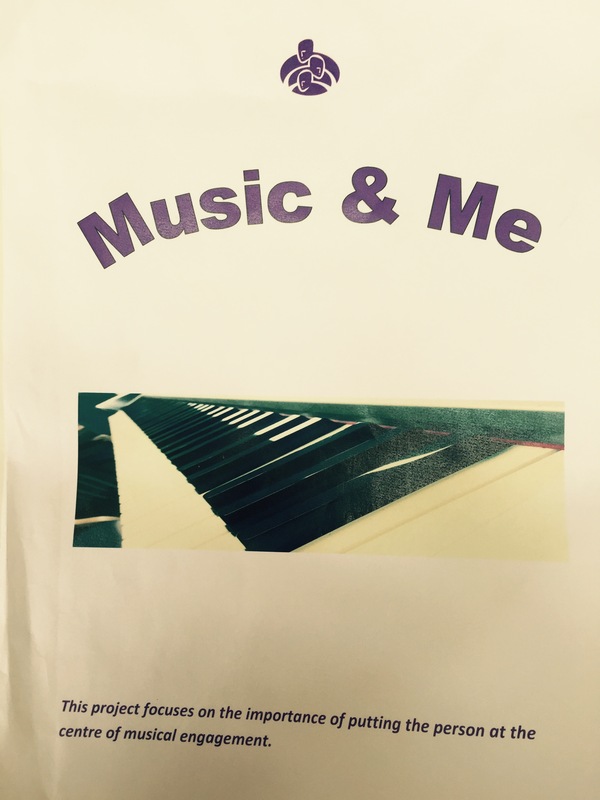 The music therapy sessions were tailored to peoples individual needs whilst also being part of a group that had a focus on a ‘can do’ attitude. By doing this I found people were empowered to express themselves within sessions, were creative while also making music. The feedback from everyone involved was extremely positive. The overall feedback suggested that people felt happy and relaxed after the sessions and my colleagues comments reflected this too. Thank you for supporting music therapy and dementia by reading this blog. Please feel to leave reflections, comments and questions below. I recently graduated from Anglia Ruskin University with a postgraduate Master of Arts degree in Music Therapy. At present I am working with Alzheimer Scotland as a Music Therapist/Music Therapy Intern. I have a key interest in further researching the benefit of music therapy for someone living with dementia. I gained this interest after having a personal experience with a close family friend who had Alzheimer’s disease, I was inspired by her clear motivation when interacting musically with me. 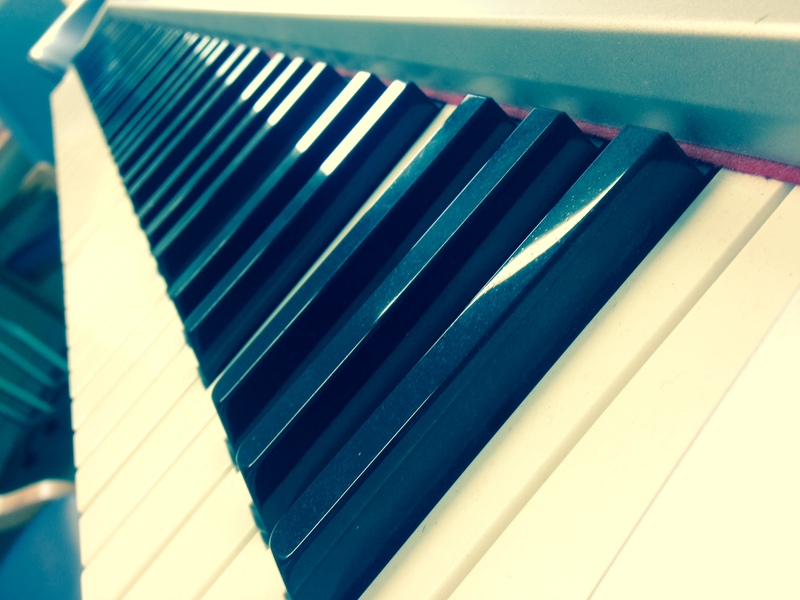 This initial experience led me to train as a music therapist. I hope that throughout my time working with Alzheimer Scotland I can contribute to the growing research around music therapy and dementia care. Music therapy uses the unique qualities of music as a non-verbal interaction between client and therapist. In music therapy, people work with a wide range of accessible instruments and their voices to create a musical dialogue to interact and communicate, regardless of their musical ability. Music Therapy is grounded in the belief that EVERYONE can respond to music. Music plays a significant role in our everyday lives and can often be exciting, calming, joyful or poignant. Music is an international language which can allow a person to express themselves and communicate with others. Music therapy is a psychological therapy which uses music to build a relationship between therapist and client. 2. 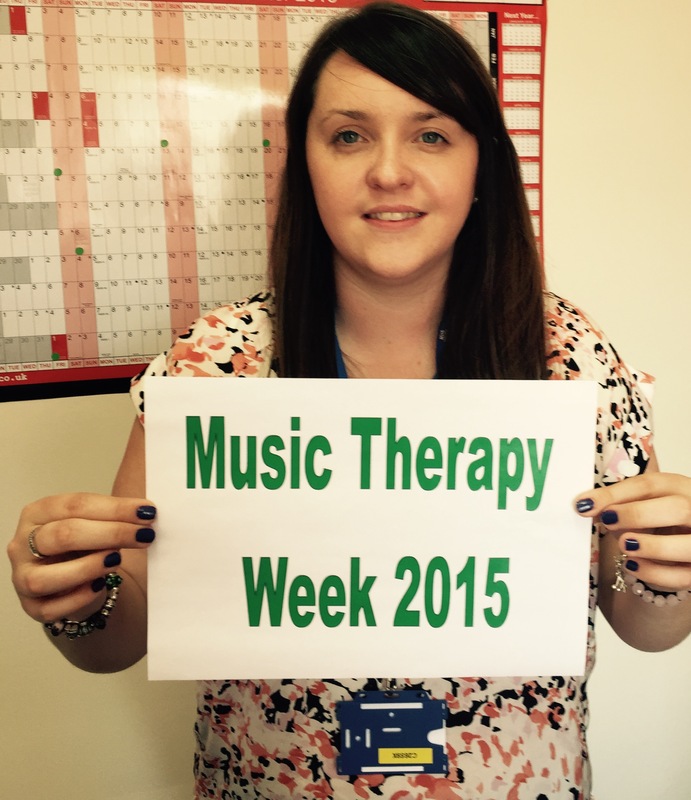 Do people need to be musical to do take part in music therapy? Writing meaningful and creative songs/music. Everyone’s experience of music therapy is different because every person is different. While music therapists can work very flexibly with individuals, they will also set clear aims and objectives for the therapy, in conjunction with the person, their relatives, carers and other professionals. These aims can change, as the work progresses; the form that the music therapy takes can also develop, according to the individual’s needs. 3. 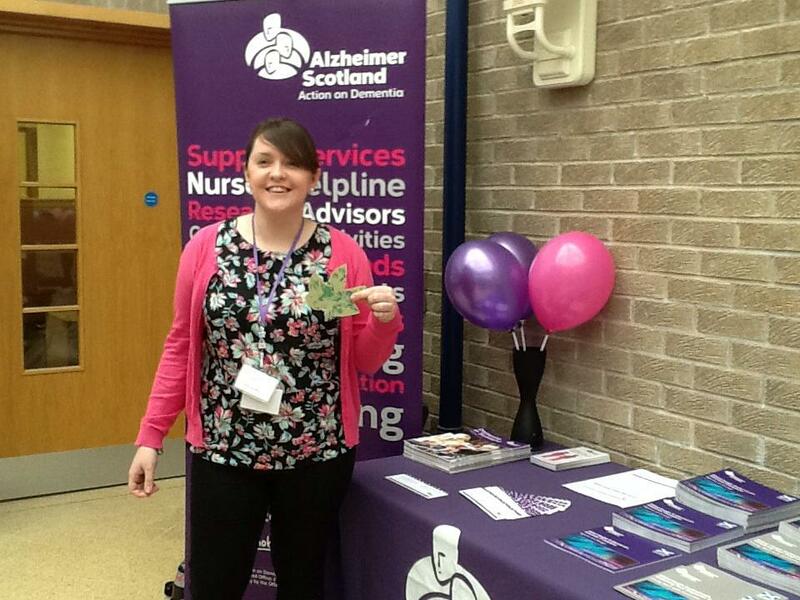 What will be your role in Alzheimer Scotland? To provide music therapy sessions within Alzheimer Scotland (Dumfries & Galloway) while learning about Alzheimer Scotland as a whole, considering the role of music therapy within a large third sector organisation. To share my learning with others; raising awareness of the benefit music therapy for people living with dementia through networking, training, blogging and tweeting. To work with Elaine, @elaineahpmh and Adrienne @adrienneahpmh to build on a programme for AHP students, AHP interns and AHP volunteers, my focus will be music therapy. 4. What has been the highlight of your new role? As a part of my induction I have attended various therapeutic activity groups, and have spent time in the local Alzheimer Scotland Resource Centres. I have been inspired to see the enjoyment on people’s faces when they have created and participated in something meaningful to them. When attending the groups and resource centres, I have witnessed a great sense of community and shared experience with people living with dementia, carers, volunteers and Alzheimer Scotland staff. I have observed the value of therapeutic activity groups and recourse centres in supporting someone living with dementia and their carer. I believe as a music therapist that we can all respond to music no matter how far along our life journey we are, it just takes the right person to help you find your music within. Music therapist meet people at their own level, everyone is different and there is not right and wrong in music therapy. ‘It aint what you do, it’s the way that you do it’! Is music important to you as an individual and do you believe we can all respond to music in our own way? Why not take some time to view the ‘Music Therapy New perspective’ video on youtube and consider the diverse benefits music therapy has to offer EVERYONE! Continue to follow this blog! How Can We Create Dementia Friendly Occupational Therapy Graduates? This was the question we explored in our You, Me and Dementia resource project. Raising awareness of dementia and its impact on the lives of those we love, live with and work with is an increasingly important issue in the education sphere. University graduates need to enter society feeling equipped to support the growing numbers of people who experience dementia. In January 2014, Julia-Helen and I had the privilege of working with our fantastic Occupational Therapy Lecturer Dr Claire Craig to create a co-produced dementia resource by students for students. Claire wanted to explore ways to meet the new HFEE dementia curriculum for higher education and gave us the opportunity to co-create a resource delivered to occupational therapy students to share information about what dementia is, and how to work alongside people living with dementia in a sensitive and empowering way. The ultimate aim was to create a resource that could be used not only with occupational therapy students, but tailored to meet the needs of different types of students across the university and developed into an online accessible App. What do occupational therapy students need to know about dementia? We met over 4 weeks, initially brainstorming what type of information to include in the resource – what do occupational therapy students need to know about dementia and how should we deliver it? We felt that it was important to ask the students themselves what they wanted to know, so we sent out a poll to find out what they were most concerned about and what topics were important to them. Based on their answers, we created a presentation using Prezi software and delivered this as a 1 hour lecture, covering information about the types of dementia and how to work with people with dementia with respect. We drew on work by Kitwood and Jackie Pool, which promotes a person-centred equitable relationship and recognises that it is people living with dementia themselves who can teach us most about the condition and how to support them. We included short videos by the wonderful Scottish Dementia Working Group to illustrate this. (@S_D_W_G). Click here to view the presentation we developed & then delivered. We paired the lecture with an interactive 2 hour workshop, to give students the chance to explore what it might feel like to experience dementia through games, discussions and practical experiments. We also discussed creative ways to deliver occupational therapy interventions with an emphasis on self-expression through tools such as poetry and singing. So what did the project achieve? Well we had fantastic feedback from our student peers about their experience of the resource! And we ourselves underwent a transformation through the trust and responsibly bestowed on us co-production experience. It helped us step into our professional selves and envisage our future as autonomous occupational therapy practitioners. Here is the link to the YouTube video of us talking about our dementia resource and our contribution to creating dementia-friendly occupational therapy graduates? We would love to hear your comments on this work and other ideas you have to enable our practitioners of the future, of all disciplines to be “dementia-friendly”.